Please consider making a tax-deductible donation to HousingWorks Austin to help us continue to research, advocate and educate about the need for and benefits of affordability in Austin. Thank you! 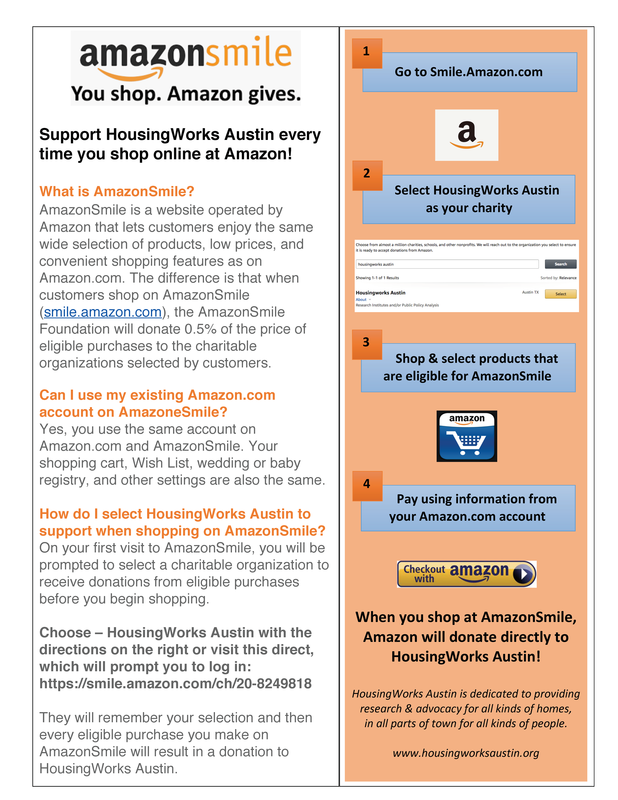 You can also give as you shop by making HousingWorks Austin your nonprofit of choice through Amazon Smile! See below for instructions.